As expected, the reaction was all over the place. 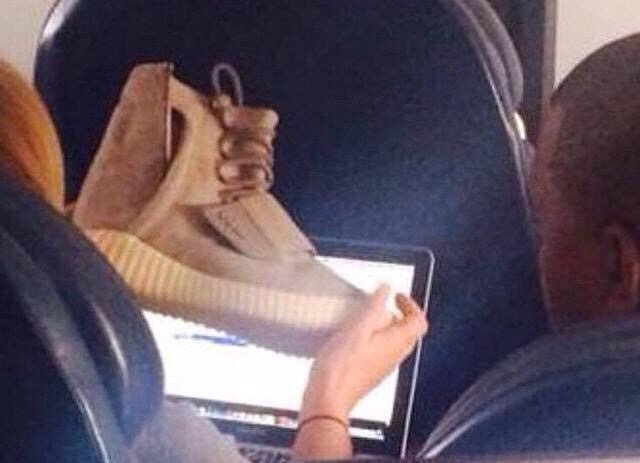 Earlier tonight, an image leaked of what is rumored to be Kanye West's first collaborative sneaker with adidas. 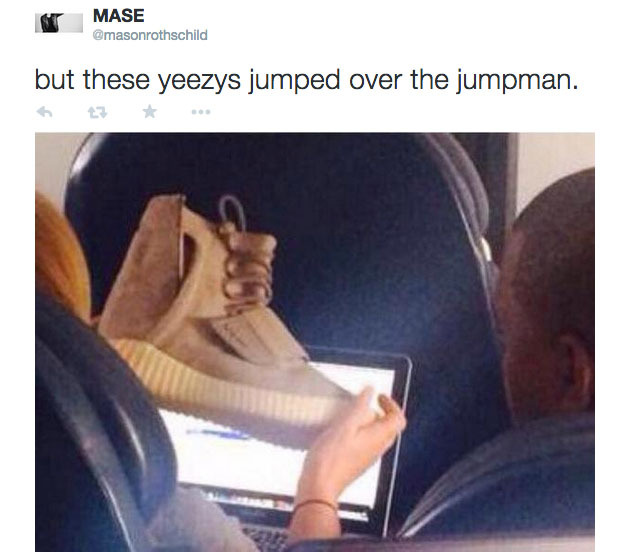 The photo, apparently taken behind West during a recent flight, shows an unconventional nubuck high-top with an extended heel, midfoot cross-strap and thick ribbed outsole. More high fashion than sport. There's an obvious bit of Visvim influence in play, which shouldn't come as a surprise if you've been keeping an eye on West's day-to-day sneakers for the past year or so. It's also no surprise that 'Sneaker Twitter' was on fire moments after the leak. 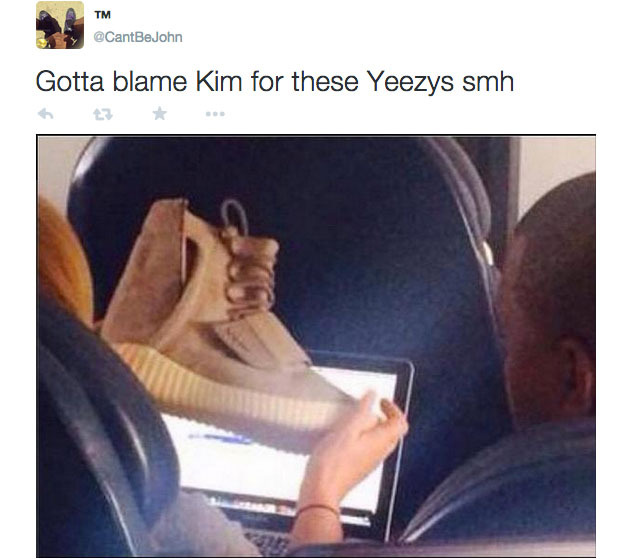 In fact, the term Yeezi trended as high as number 5 in the United States. 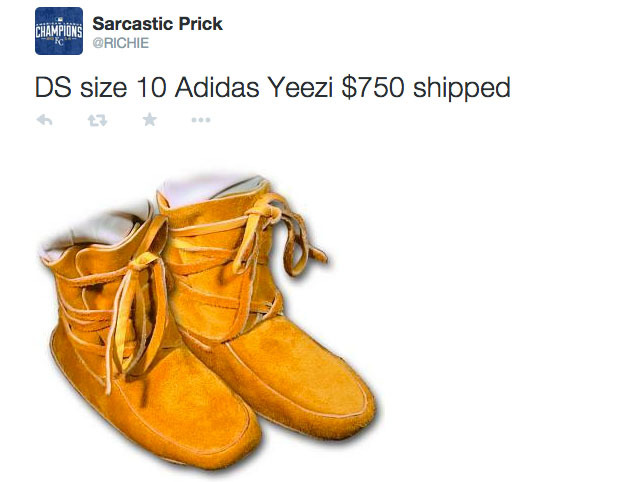 As expected, the reaction was all over the place, ranging from 'must cop' to 'Kanye just made a pair of Uggs.' All of this before we even have confirmation from adidas. 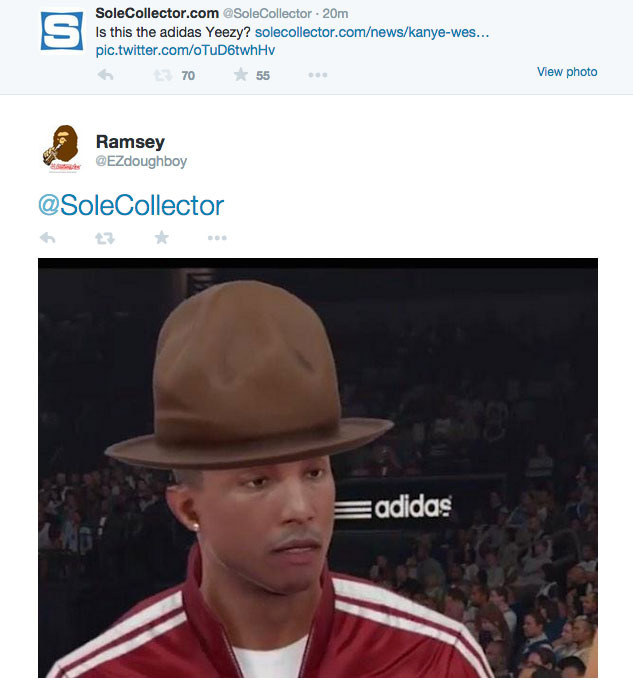 While we wait, check out some of the best Twitter reactions to the rumored Kanye West x adidas Yeezy.